Minnesota teens must take Driver Education. You are required to take it through your public school or from a commercial driving school. Driver Ed in a Box® is approved by the Minnesota DVS Office of Driver Education if your teen is home schooled. If your teen is home schooled, Driver Ed in a Box® will satisfy all of their classroom driver education needs and at the same time teach them to become a safe, collision-free driver. After completing the classroom requirements, they must complete 6 hours of behind-the-wheel instruction from an approved provider. 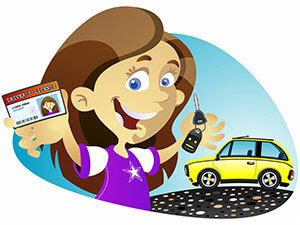 Teen drivers may apply for a permit at the age of 15, with the approval of a parent or legal guardian. Minnesota requires that all teens under 18 complete 30 hours of classroom instruction and 6 hours behind-the-wheel driving instruction from an approved high school or commercial driver education course. Driver Ed in a Box® gives you the tools to work with your teen during the permit stage. Minnesota requires you spend a minimum of 30 hours supervising your teen driver during the permit time. Our course will guide you past the handling skills learned in traditional driver education, giving you the tools you need to teach the skills your teen driver needs to become a safe, collision-free driver. By combining the 30 hours Minnesota requires with the tools you receive in Driver Ed in a Box®, you will help your teen build the habits of safe, collision-free driving. Driver Ed in a Box® creates habits that are proven to be effective. The Driver Ed in a Box® program gives you the tools to master the skills of each section of driving (we break it down to Parking Lot, Neighborhood, Two Lane and Four Lane Light Traffic, Freeway, Rural and Heavy Traffic). With our checklist and audio CDs, it allows the student to master the skills required in each area at their own pace before moving on to the next section. Once you have had your permit a minimum of 6 months and are at least 16 (Minnesota state requirements), you can go to the local driver license examiner and take your road test. For more information on the driving laws in Minnesota, visit their homepage.